A few days ago, we talked about William Shatner’s crazy proposal for a $30 billion, Kickstarter-funded pipeline that would alleviate the currently baleful state of Californian drought. However, the Californians themselves have opted for a seemingly more practical solution to keep their gardens lush. And what does that entail? Well, the answer is pretty simple – paint! 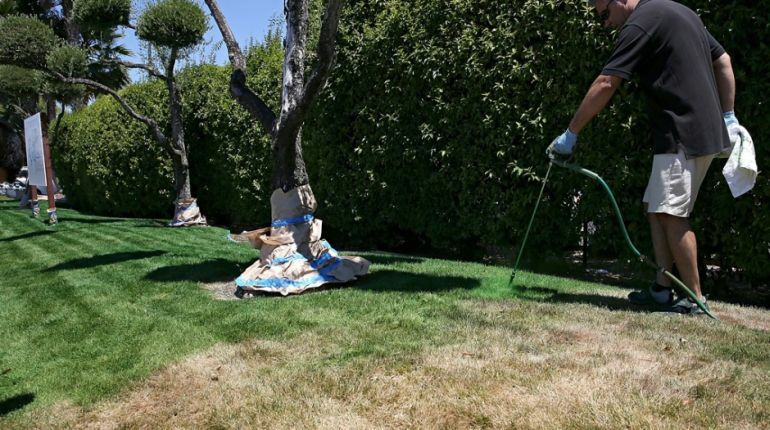 A few enterprises like Green Canary and LawnLift are doing business by giving those heat-stricken brown lawns ‘natural’ makeovers. In essence, the paint jobs transform (albeit in a slightly spurious manner) the previously dilapidated grasses into seemingly verdant spaces with gorgeously green hues. 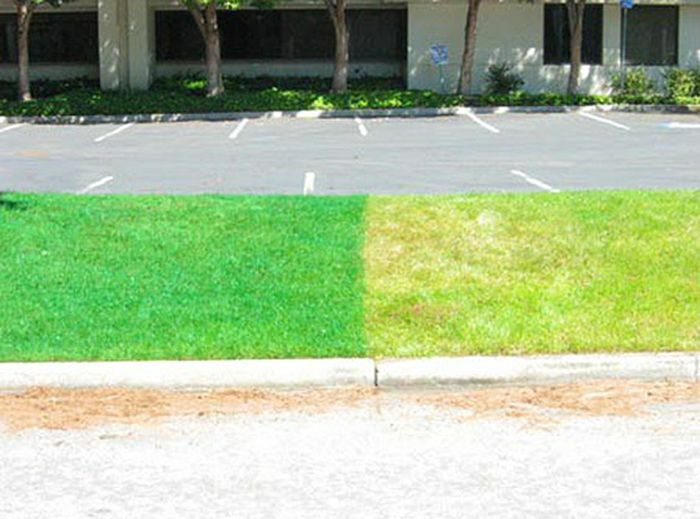 In terms of technology, these paints consist of a special aqueous polymer that endows the lush green coating to the already brown grass. However, there is more to this scope than just the visual factor. Consequently, the said polymer also has the capacity to mitigate invasive weed growth, thus preserving the life-period of the grasses while reducing toxicity that can potentially harm humans. But the most crucial advantage of such a paint-based technology is that it avoids the requirement of water – a component that is far too precious in the presently ominous circumstance of the Californian drought. To that end, the drought in question is calamitous for the proximate population without a shadow of doubt. When translated to figures, the foreboding ambit can lead to the loss of over 17,000 jobs and a whopping $2.2 billion hole in the state’s treasury (in 2015 alone). And even these malignant numbers would probably just amount to the proverbial ‘tip of the iceberg’ – if desperately collective measures and water-saving cultures do not make their presence known in the very near future. And lastly, there is also the monetary side of affairs – with these paints being actually cheaper when compared to those artificial turfs. For example, it costs around 25 cents per sq ft to spray a lawn, which brings it to just $250 for a substantial 1,000 sq ft of lawn area. Users also have the option of buying a half gallon of concentrated paint for about $80, and then proceeding on to do the paint job themselves.